Ranch House Oak has subtle scrapingРІР‚вЂќalmost a hammered effect which creates a floor thatРІР‚в„ўs rustic yet refined. Ranch House Oak is a very versatile oak that offers three deep rich colors that range from medium brown to a darker brown that highlight the subtle hammered finish and the pronounced graining in the planks. 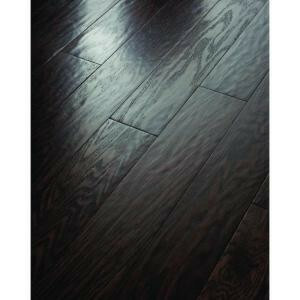 This 5РІР‚Сњ engineered hammered oak is rated High with color and character variation within each box. It is imperative that hardwood planks from various cartons be continually blended during installation to insure optimum appearance.